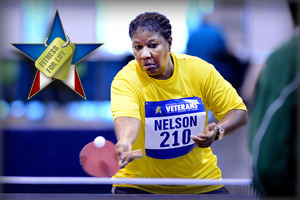 VA’s Office of National Veterans Sports Programs and Special Events (NVSP&SE) provides Veterans with opportunities for health and healing through adaptive sports and therapeutic art programs. These specialized rehabilitation events aim to optimize Veterans’ independence, community engagement, well-being, and quality of life. The programs are built on clinical expertise within VA, with essential support from Veteran Service Organizations, corporate sponsors, individual donors and community partners. For more information or to learn how to get involved today, contact us at sports4vets@va.gov. The Grants for Adaptive Sports Programs for Veterans and Servicemembers with disabilities (ASG Program) provides grant funding to organizations to increase and expand the quantity and quality of sustainable adaptive sport activities that Veterans and Servicemembers with disabilities have to participate in physical activity including those for mental health issues within their home communities, as well as more advanced Paralympic and adaptive sport programs at the regional and national levels. Interested in becoming a Paralympic athlete? The VA National Veterans Sports Programs & Special Events Office provides a monthly assistance allowance for Veterans with disabilities training in Paralympic sports, as well as certain Veterans with disabilities selected for or competing with the national Olympic Team, as authorized by 38 U.S.C. 322(d) and Section 703 of the Veterans’ Benefits Improvement Act of 2008. Find more amazing video highlights on VA's YouTube Channel. The Summer Sports Clinic offers adventure sports and recreational activities such as sailing, surfing, track and field events, kayaking and cycling (hand and tandem), to those who were recently injured. Complimenting the therapy provided in daily rehabilitation programs, the Clinic shares a glimpse of the many exciting recreational opportunities awaiting those Veterans who accept the challenge. Co-presented by the Department of Veterans Affairs and the Paralyzed Veterans of America, the National Veterans Wheelchair Games is a rehabilitation and wheelchair sports program empowering Veterans with spinal cord injuries, multiple sclerosis, amputations, and other neurological injuries to live more active and healthy lives. Co-presented by the Department of Veterans Affairs and the American Legion Auxiliary, the National Veterans Creative Arts Festival (NVCAF) is the celebration and grand finale stage show and art and writing exhibitions which are the culmination of talent competitions in art, creative writing, dance, drama and music for Veterans treated in the Department of Veterans Affairs (VA) national health care system. Each year, the TEE Tournament uses a therapeutic format to promote rehabilitation, fellowship and camaraderie among participants. The event provides eligible Veterans with an opportunity to participate in therapeutic adaptive sporting activities which demonstrate that having a visual or physical disability need not be an obstacle to an active, rewarding life.